At CU-Boulder, we don’t just provide service learning opportunities for students – we pioneer them. Professor Bernard Amadei is the founder of Engineers without Borders - USA, and alumna Avery Bang (MCivEngr’09) is CEO of Bridges to Prosperity. 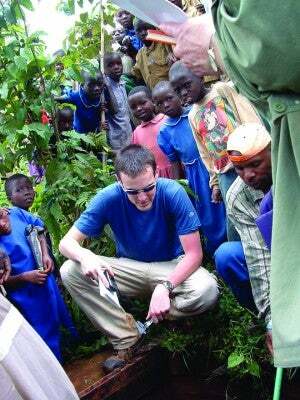 ​The College of Engineering and Applied Science also houses the Mortenson Center in Engineering for Developing Countries, which offers MS and PhD degrees or a graduate certificate that combine education, research, and outreach to provide sustainable and appropriate solutions to the endemic problems faced by people who are most in need.